This shining example of living history sits just steps from modern-day Winston-Salem. Take a tour back in time with our insider tips. Everyone says you have to visit Old Salem when you’re in Winston-Salem. But being a “must see” doesn’t mean it can’t surprise you. Learn more about this classically North Carolina destination, and then go beyond the guidebook with our insider tips. 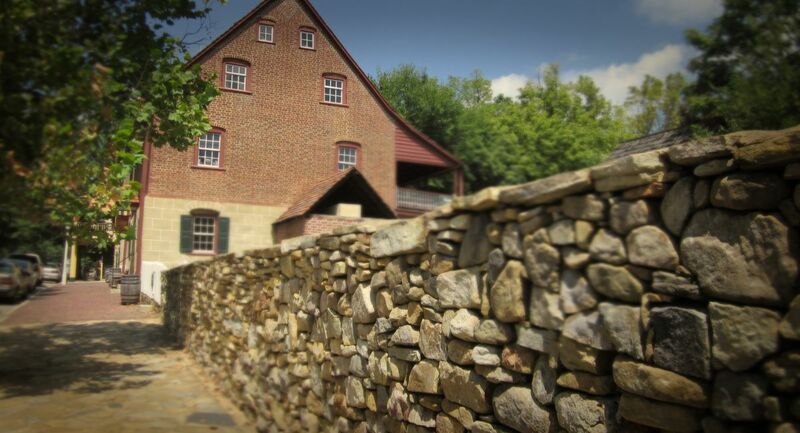 Old Salem Museums & Gardens is one of the nation’s shining examples of living history, a town not rebuilt but restored. You can feel the difference from your first step on the uneven brick sidewalk as you pass by centuries-old structures. The Moravians who settled Salem were persecuted Protestants who arrived in the middle of the 18th century, settling a 99,000-acre tract of land they called “Wachovia,” and they still thrive in the area today. In the town of Salem, the historic areas merge seamlessly with modern life. Learn more about all there is to see and do here as you plan your trip. During your visit to Old Salem, you can discover the talents of Southern artisans from the 1670s to the early 19th century at MESDA (The Museum of Early Southern Decorative Arts). Walk through 12 gallery rooms, and see how the elegance of a Lowcountry home from South Carolina contrasts with the rough-hewn, yet highly crafted furnishings of an Appalachian mountain cabin. Displays of folk art and fine art define the lifestyles of the past. 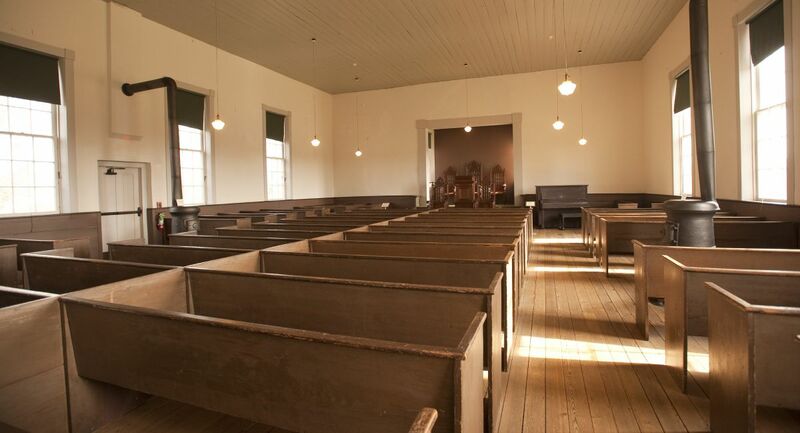 As you explore the historic district, you can see the restored 1861 St. Philips African Moravian Church, the oldest standing African-American church in North Carolina, the Single Brothers’ Workshop and Single Sisters’ Halls, and the shops of various trades. You may see people working as joiners, potters, tailors, shoemakers, tinsmiths/pewterers, gunsmiths, apothecaries/doctors and gardeners. 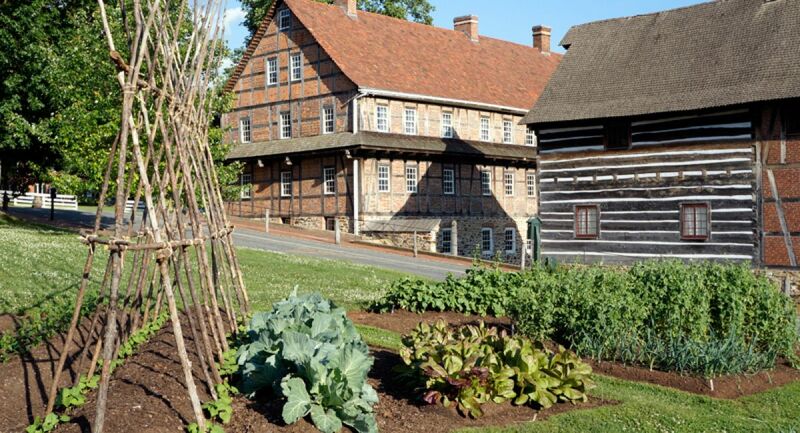 The Gardens at Old Salem feature open-pollinated heirlooms, with a core mission of seed saving. From the Miksch family backyard garden to the expansive Single Brothers’ Garden, Old Salem’s award-winning restorations will inspire ideas for your own garden. You can also take in a wide variety of demonstrations, ranging from paper-cutting (called Scherenschnitte) and quill pen writing to open-fire cooking. The Old Salem Visitor Center is home to the Tannenberg Organ, the largest surviving organ created by the renowned 18th and 19th century organ builder David Tannenberg. Following its 15-year restoration, the organ’s mighty bellows and pipes once again enable the magnificent instrument to fill the air with inspirational music. Winkler Bakery is an all-time favorite stop for visitors. A beehive oven bakes fresh breads, cakes and distinctive ginger-infused Moravian cookies. The Tavern in Old Salem features costumed servers and delicious locally farmed food. Winston-Salem natives will tell you they can still smell the sweet aroma of freshly baked goods coming from Winkler Bakery no matter when they were last home. The Moravian sugar cake is as delicious a way to experience the past as it is authentic. Take a stroll down Main Street in the early morning hours and you'll be treated to the smell of sugar cake and more being pulled from the wood fire oven at Winkler, where they start bright and early. You'll also enjoy a refreshingly quiet and uncrowded perspective on the town.